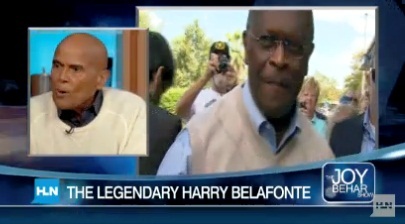 *During a visit to HLN’s “Joy Behar Show,” Harry Belafonte slammed Republican presidential candidate Herman Cain for saying that racism doesn’t hold Americans back “in a big way” anymore. 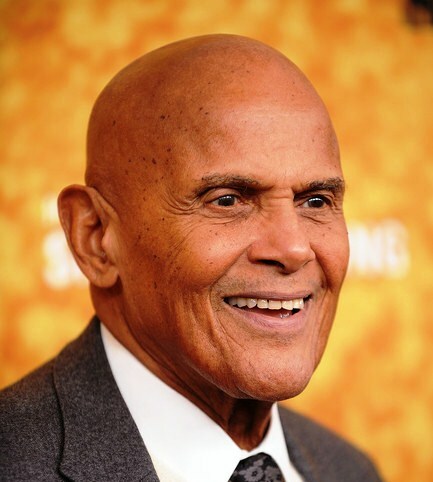 Belafonte underscored the disproportionate number of African Americans who are in jail or jobless as proof against Cain’s statement. Furthermore, he said the black community can do without a politician like Cain. Al is also giving voice to folks like Van Jones, folks ostracized by the Obama admin. I even saw Charlie Rangel popping up to sound off recently. Remember him, censured by the Democrats. Normally, left wing MSM would not touch any of these people with a long pole. So for all his detractors who predicted his association with Obama would render him impotent, Al is surely representing, Obama notwithstanding. I thought ole Harry had quieted down. Glad to know he hasn’t and called out that Cain fool! And yes, glad to see Al doing his thing! !